That gorgeous fashion model on the billboard? Not quite so gorgeous in person. The extraordinary science photo of our galaxy? The original was less dramatic. That Facebook picture of your brother-in-law golfing with the President? They’re not actually fairway buddies. From fashion spreads and films to product packaging and news images, Photoshop helped transform our view of the world—and our trust in what we see. “Who are you going to believe, me or your own eyes?” snaps Groucho Marx in Duck Soup. The film quip was prophetic. In the Photoshop era, your eyes may mislead. Even knowing that images are easily manipulated, it’s natural to believe what we see. Photoshop introduced an unprecedented tool for shaping emotions, opinions, and actions, from art and advertising to propaganda, from science to selfies. 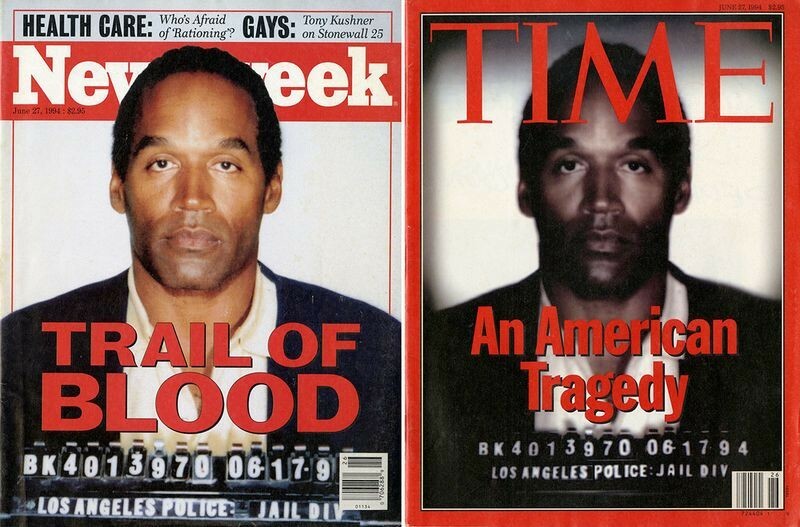 Left: Credit: © Newsweek LLC Right: Credit: © Time Inc.
Newsweek and Time hit newsstands on the same day with the same cover image - a mug shot of former football star OJ Simpson, but with one glaring difference. Many accused Time of altering its image to make Simpson “darker” and more “sinister” in a racist ploy to sell magazines, a claim Time vehemently denied. The difference was especially noticeable next to Newsweek’s untouched cover. What happens when perfection becomes the norm? By erasing blemishes and flaws in the images we see daily, are we creating a new, unobtainable standard of beauty? Is there a connection between the Photoshop era’s perfection and increasing rates of anorexia and plastic surgery? Seventeen’s editor-in-chief Ann Shoket issued the “Body Peace Treaty” in response to teenager protests against the magazine’s Photoshopped models. 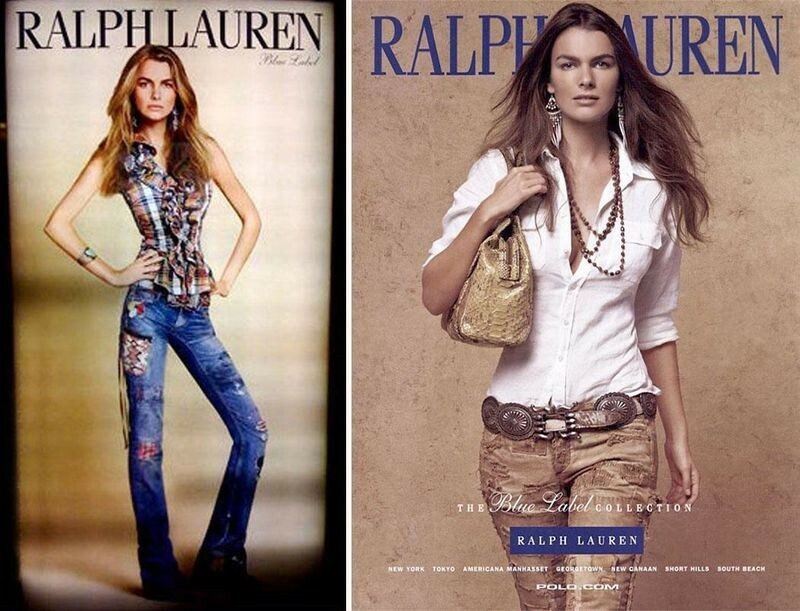 A botched Ralph Lauren ad featuring Fillipa Hamilton (left) ignited controversy over the excessive use of Photoshop. A true image of Hamilton appears on the right. 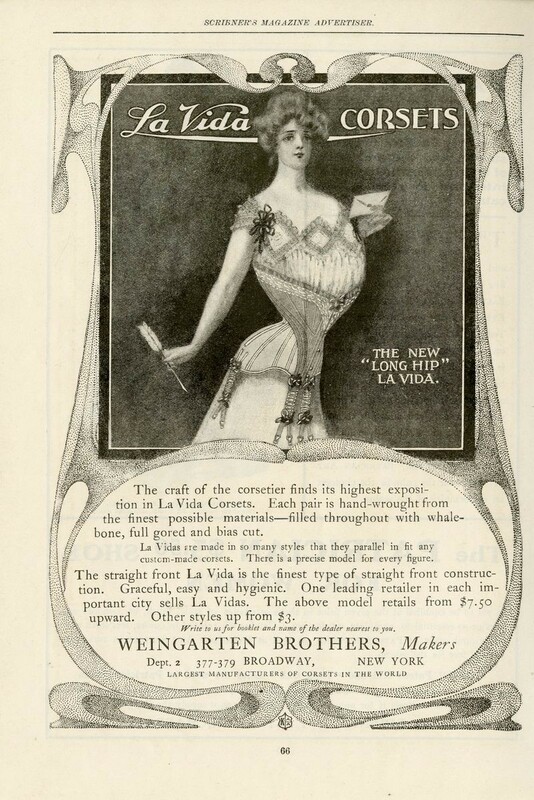 Before Photoshop, advertisements targeted women with the latest body-shaping products and trends. 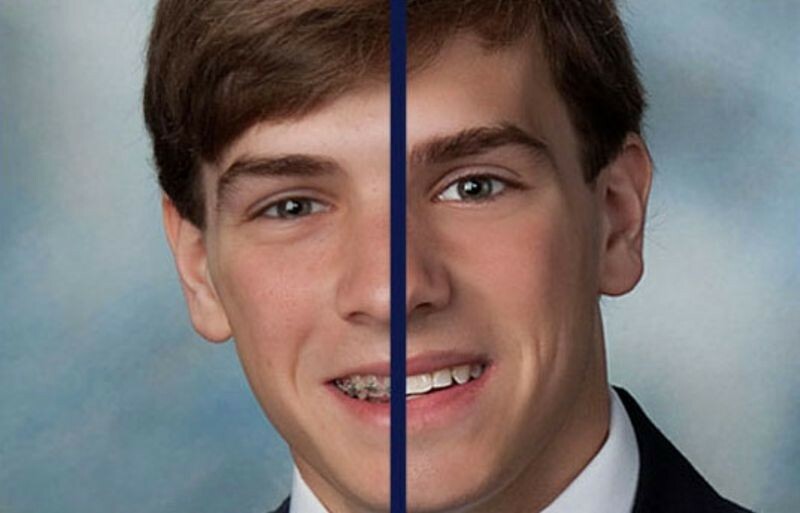 Photoshopping school photos is a commonly offered service—removing blemishes and perfecting smiles for yearbook success. ”Transformation & Deception” Even before Photoshop, tools have been used to alter one’s image. Wearing makeup is a time-honored way for people to hide flaws and enhance features. The earliest recorded use of makeup was during the First Dynasty of Egypt, ca. 3000 BC. 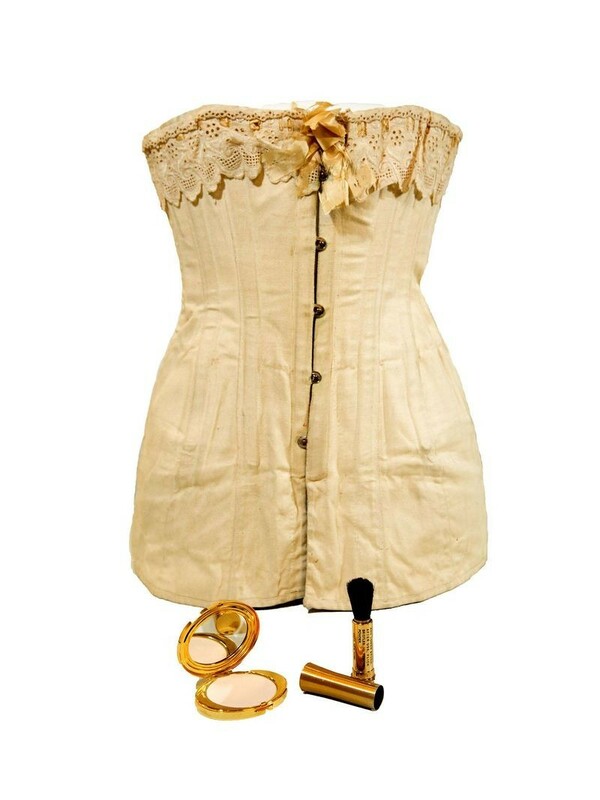 Even in Egyptian times, corsets were used to draw in a person’s waist, usually to achieve a slimmer silhouette. 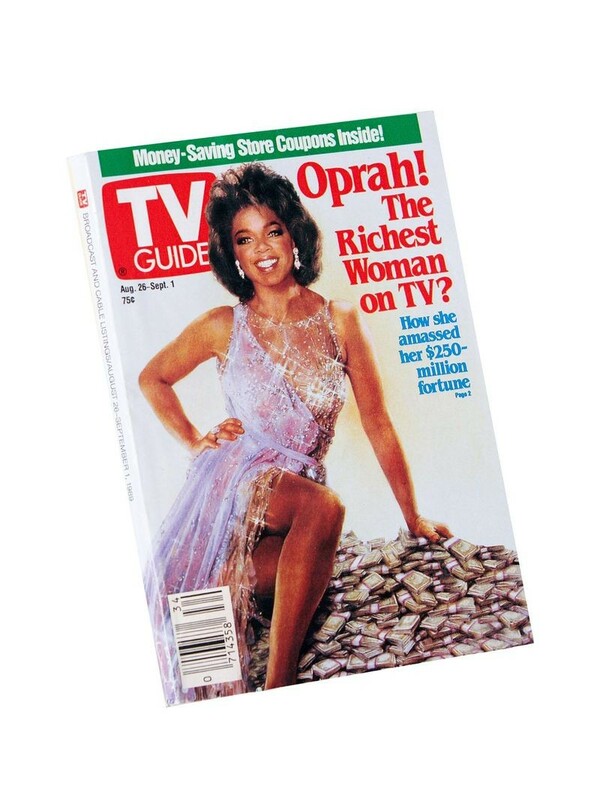 ”Mix & Match” This controversial TV Guide cover image shows talk show host Oprah Winfrey’s face spliced onto actress Ann-Margret’s body. It was one of the last times editors would use manual cut-and-paste methods to create a composite image. We expect news photos to be authentic. We accept that advertising images are doctored. Between those extremes lies a hazy middle ground in which fantasy and reality sometimes overlap. What are the political and cultural implications as photo manipulation gets easier…and separating truth from fiction gets harder? This Photoshop forgery was released during the 2004 presidential election. It was made to look like an old newspaper clipping and even had a phony Associated Press photo credit. Orthodox Jewish newspaper Di Tzeitung was called to task when it printed a doctored photo of the White House Situation Room missing female members of the national security team, including Hillary Clinton and Audrey Tomason. Doctoring photos can distort reality. But it also can sharpen reality, an invaluable tool in labs, police precincts, medical offices, and elsewhere. Forensic photography “ages” missing children, projecting how they might look today. Manipulating images can reveal cell structures, enhance satellite photos, or help plan plastic surgery. 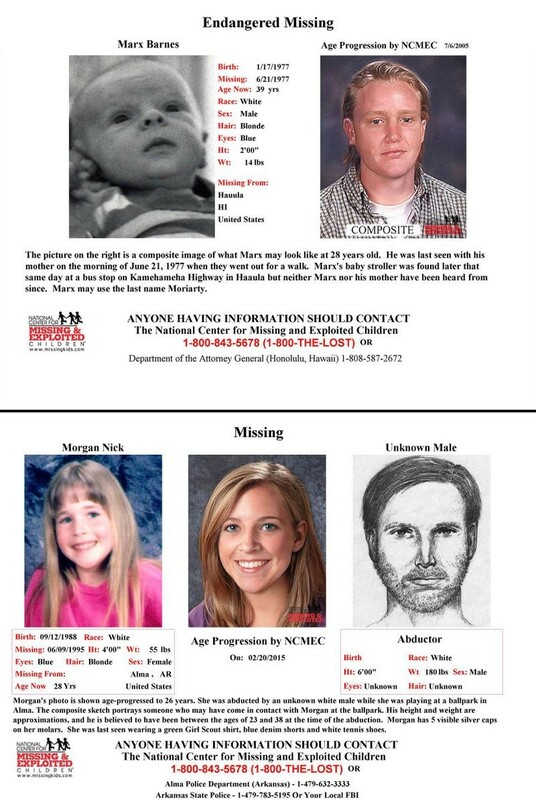 Left and Center: Courtesy of the National Center for Missing & Exploited Children (NCMEC) Right: Credit: © Time Inc. The National Center for Missing and Exploited Children (NCMEC) uses Photoshop to reconstruct what a missing child might look like as they grow older. 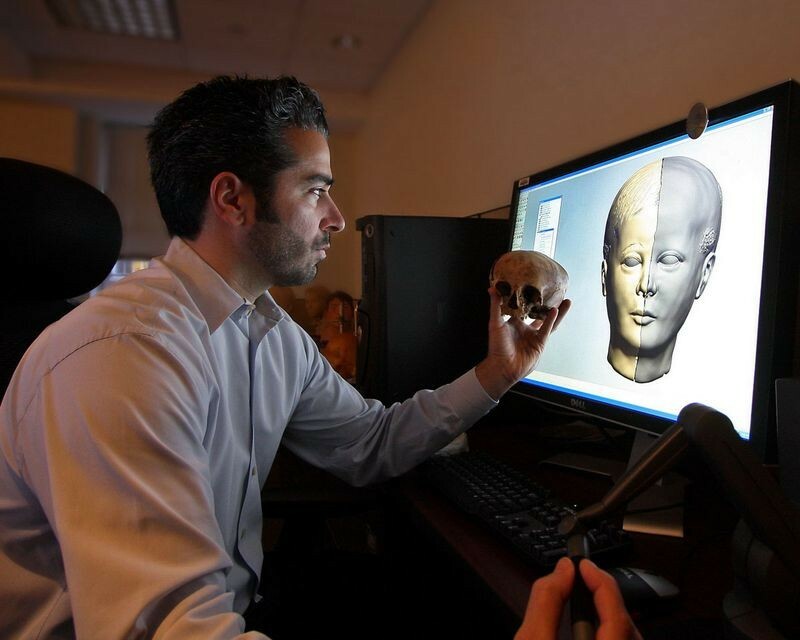 Photoshop is also used for skull reconstructions, which help identify skeletal remains. The Hubble Telescope captures objects in grayscale. Its filters then assign colors representing the objects’ chemical makeup. These color-assigned images are then edited and composited into a final image using programs, like Photoshop. 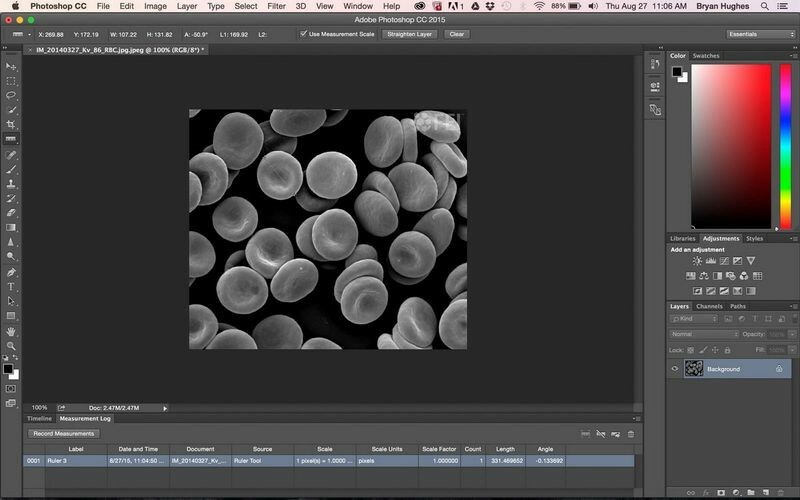 Photoshop’s scale bar allows scientists to analyze a microscope image at any magnification, while keeping dimensions of objects proportional. 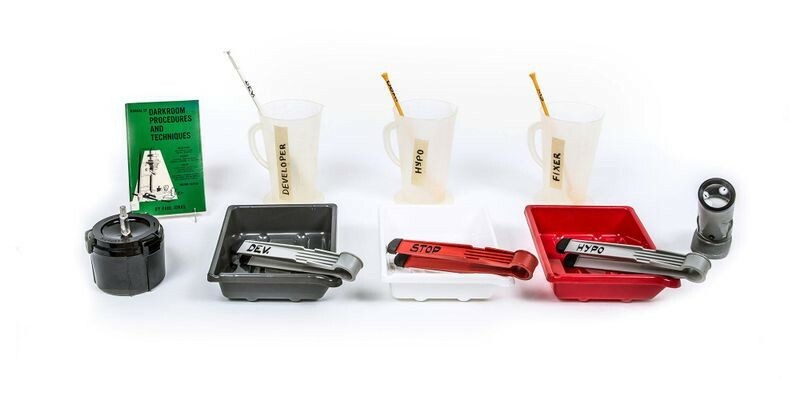 This allows scientists to communicate accurately their results with others. Forensic imaging specialists use Photoshop to create images of how missing children might look as they grow older so that, even years later, a missing child can be found. This process is called “age progression.” Age-progression portraits are often included on flyers such as these. Visual artists reinterpret the world around them, capturing reality—or creating new realities. Which is also what Photoshop does. 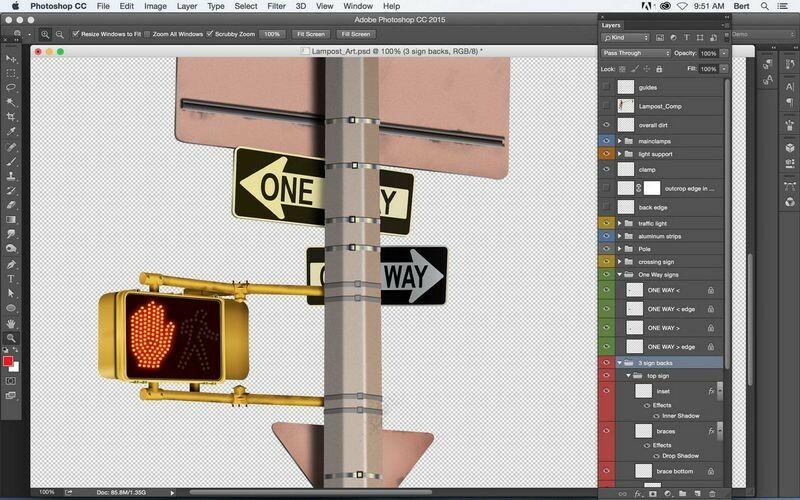 The ability to manipulate images easily and effectively gives us a powerful new artistic tool. Today, if we can envision it, we can probably portray it. © Copyright 2012, Erik Johansson. All rights reserved. Image Courtesy courtesy of Erik Johansson. 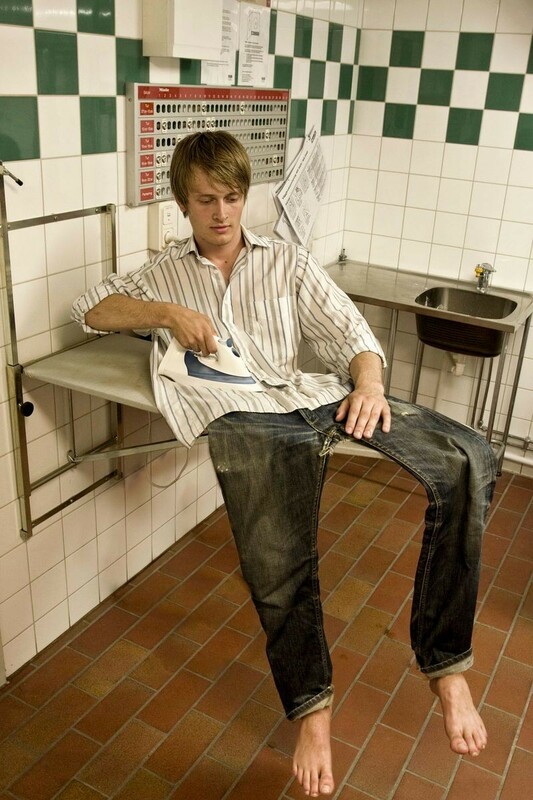 Playful optical illusions can be easily executed by artists—even ironing your own pants while they’re still on you . . . or are they? 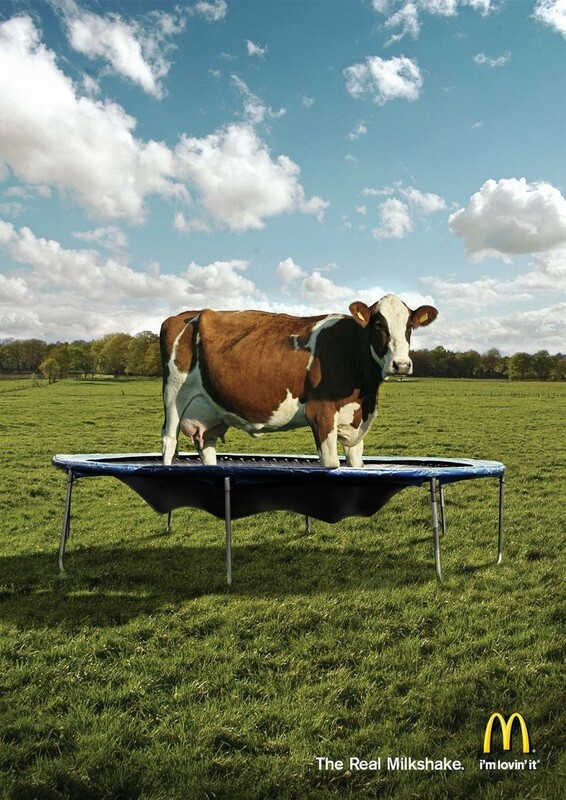 Advertising agencies around the world use Photoshop to create original, eye-catching, and sometimes humorous images to sell all kinds of goods and services. Ice Like Fire © 2015 The Fifth Order/Jeff Huang. Commissioned by Harper Collins. Photo courtesy of Jeff Huang. 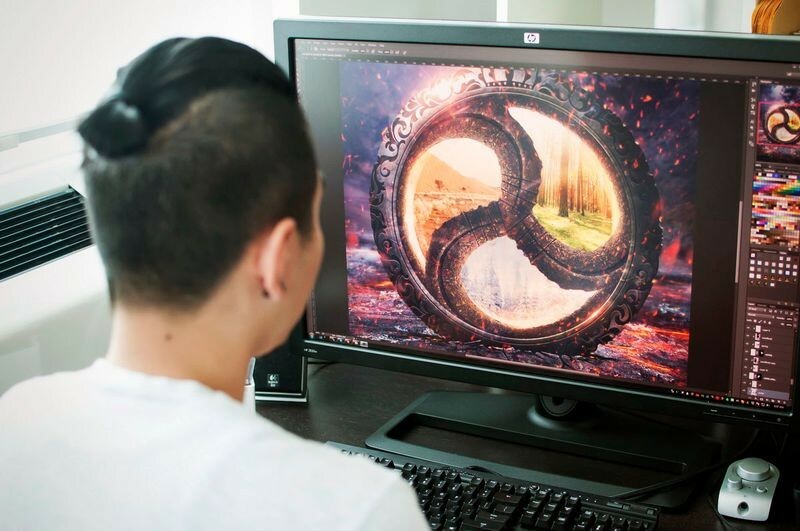 Photoshop artist Jeff Huang works on the cover of Ice Like Fire, the second book in author Sara Raasch’s young adult fantasy trilogy. 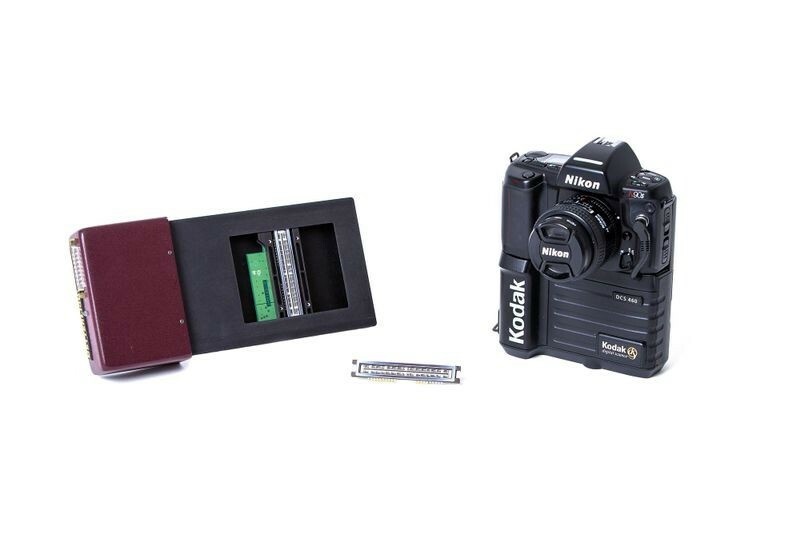 The Kodak DCS 460 was the first digital camera accurate enough for professional photography. For even more stunning images, studio photographers, like Stephen Johnson, could insert a digital camera back into a large format camera. The camera back uses a special sensor to capture the image. Courtesy of Bert MonroyMade possible through the generosity of Epson America Inc.
Famed Photoshop artist Bert Monroy created Times Square over four years. It contains over 750,000 layers and depicts dozens of digital imaging artists and pioneers, including Photoshop creators John and Thomas Knoll, as well as some of Monroy’s family and friends. Photographer Stephen Johnson was one of the earliest professional photographers to use digital cameras and Photoshop together. 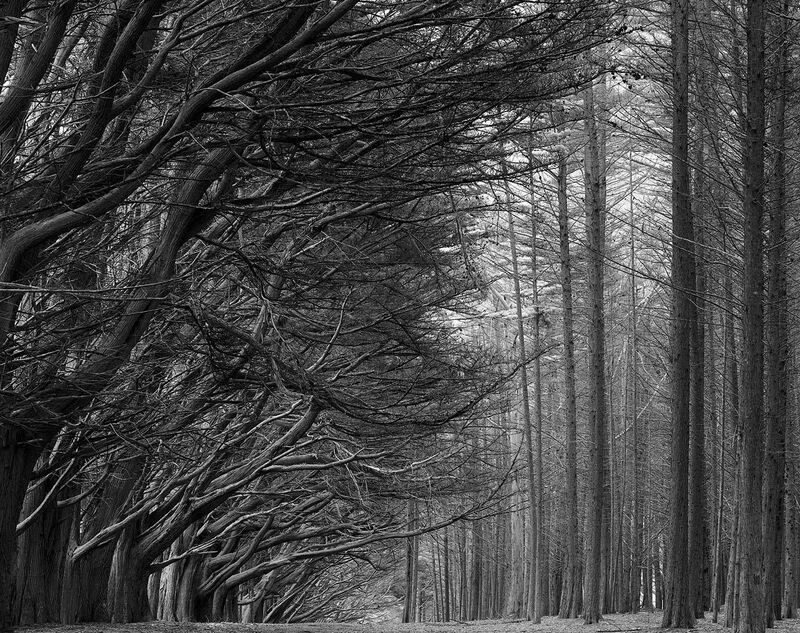 This image is from his With a New Eye series of photographs of US National Parks. Photoshop was an inspired marriage of math and art. Digital pictures—like all computer data—are simply coded series of 1s and 0s. Numbers. Manipulating those numbers changes the way the computer draws the image. The calculations involved are complex, but Photoshop's user-friendly interface lets people alter an image without ever seeing the math behind it. Layers allow multiple images to be individually edited and combined to create the perfect composition and enable flexibility and customization. Artist Bert Monroy’s Times Square piece has over 750,000 layers and is an astounding 54,000 x 10,800 pixels! Photoshop 1.0 was written primarily in the Pascal programming language for the Apple Macintosh. 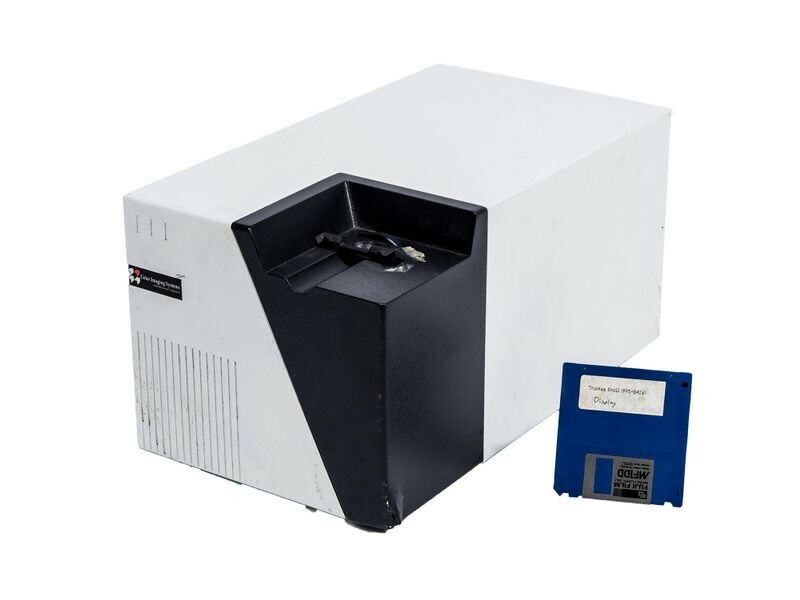 It was released on February 19, 1990, as a high-end product, priced at $600. 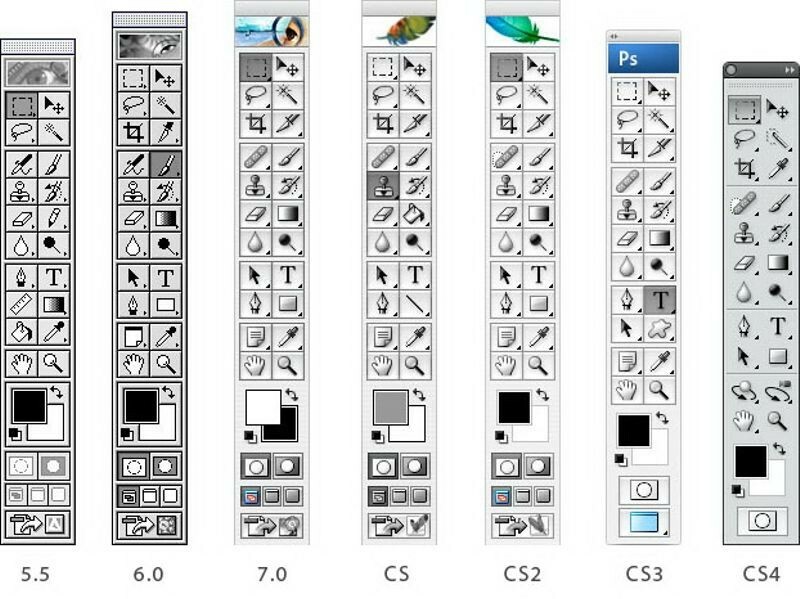 Photoshop 1.0 had only 100,000 lines of code compared to current versions, which have over 10 million. Photoshop’s user-friendly interface lets people harness millions of lines of complex code and hundreds of powerful algorithms based on advanced mathematical concepts. Patents, like this one for Photoshop’s selection mask function, protect the intellectual property of these codes and algorithms. We have been doctoring images since the birth of photography. In the pre-digital age, people used many techniques, from airbrushing printed pictures to overlaying film negatives, from double exposures to literal cut-and-paste jobs. But no technique was as simple to use as Photoshop. Or as hard to detect. Censorship was common throughout the former Soviet Union and communist China. When Nikolai Yezhov fell out of favor with Joseph Stalin, Yezhov was arrested, executed, and removed from photographs. Before Photoshop, photographers used manual photo editing techniques, like photomontage, combination printing, overpainting, and retouching, to alter reality. 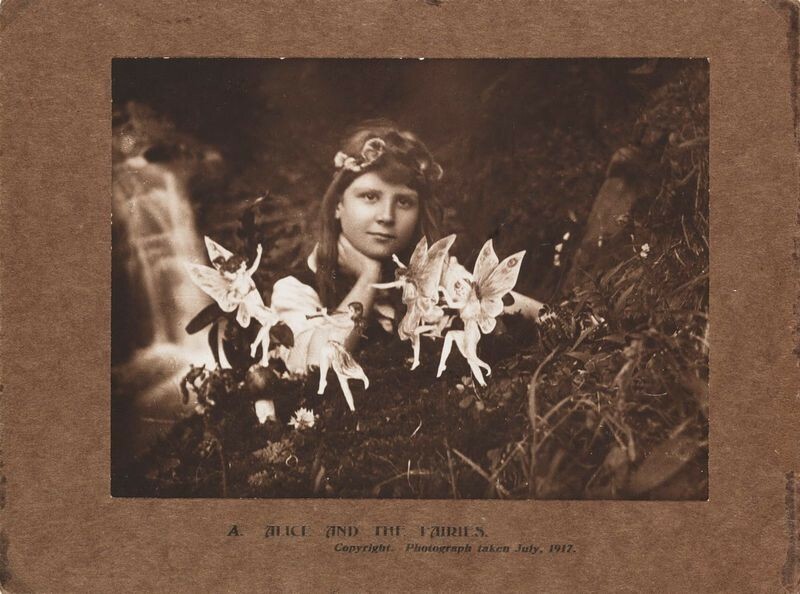 Cousins Frances “Alice” Griffiths and Elise Wright maintained until the 1980s that the fairies in this photograph were real. Really, the fairies were constructed by Elise and secured in the ground with hatpins. Before digital cameras, photographs were made by exposing specially treated paper to a film image and then chemically processing the paper to create a permanent photo. 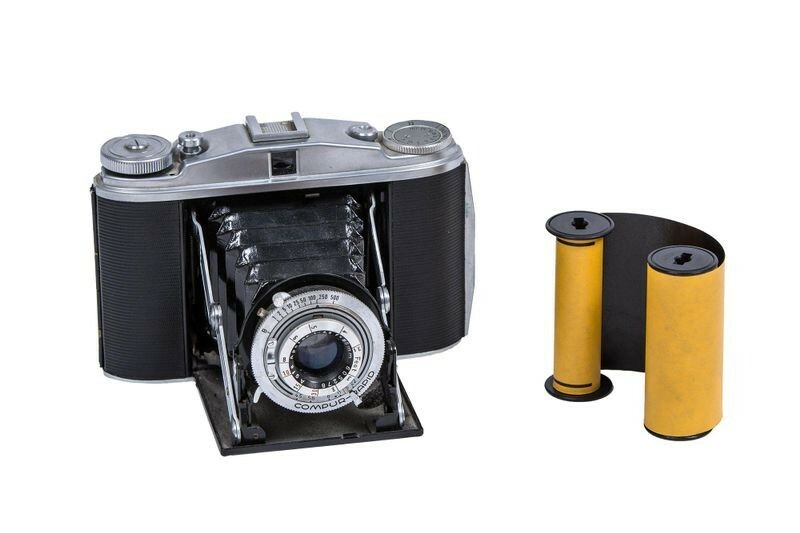 This simple camera had no direct way to focus an image but was inexpensive and typical of cameras from the early 1950s. Its maker, Agfa, also made the film for it. Digital images are made of tiny picture elements (“pixels”). Photoshop lets users manipulate these almost limitlessly. Photoshop’s strength springs from a user-friendly interface that lets people easily harness million of lines of complex code, and hundreds of powerful algorithms based on mathematical concepts such as the bi-harmonic equation and vector space color model. Darkrooms are used to process photographic film. 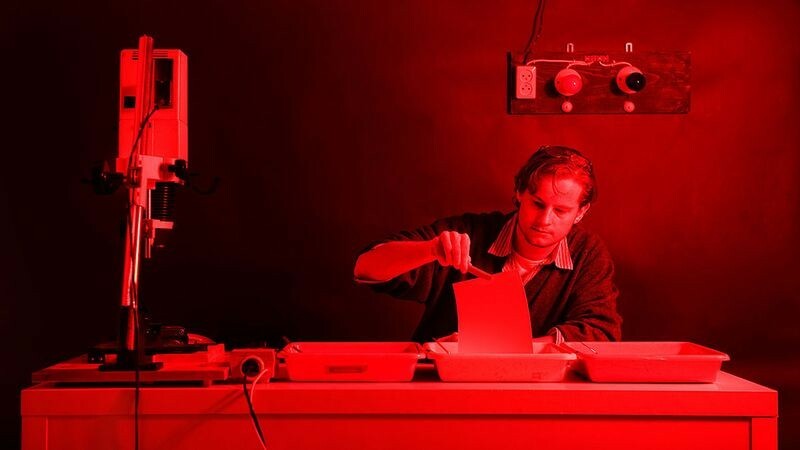 The red glow seen in many darkrooms comes from the “safelight,” a light used to illuminate the workspace without affecting the photographs being processed. 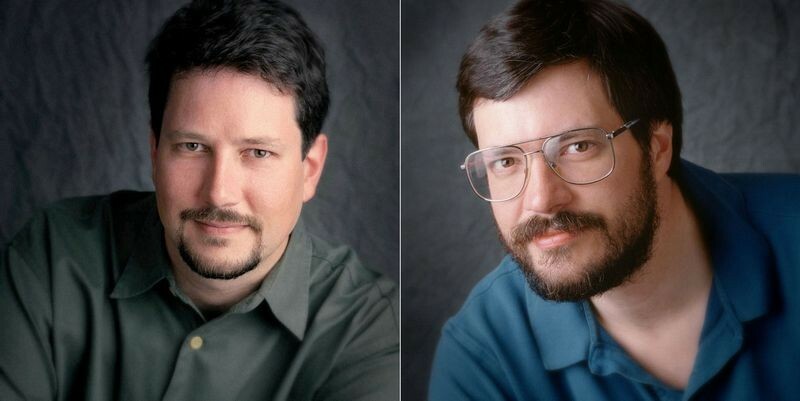 John and Thomas Knoll grew up developing photos in their dad’s darkroom. So when Thomas got a Macintosh II in 1987, it was natural for him to try improving its photo handling abilities. The result? A program called Display, which he and brother John (employed at special effects pioneer Industrial Light and & Magic) expanded into Image-Pro, forerunner of Photoshop. © 1996–2007 by Jeff Schewe. All rights reserved. 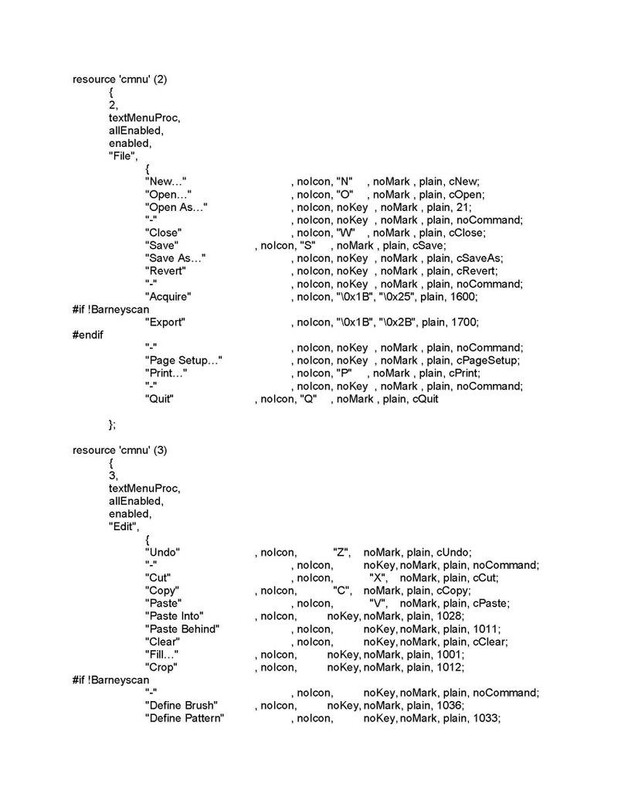 In 1987 Thomas Knoll was working toward his PhD at the University of Michigan and writing graphics code on the side. Brother John Knoll was at the groundbreaking special effects firm Industrial Light and & Magic (ILM). From the beginning, Photoshop was a collaboration of engineering and art. © Industrial Light & Magic. Used with permission. 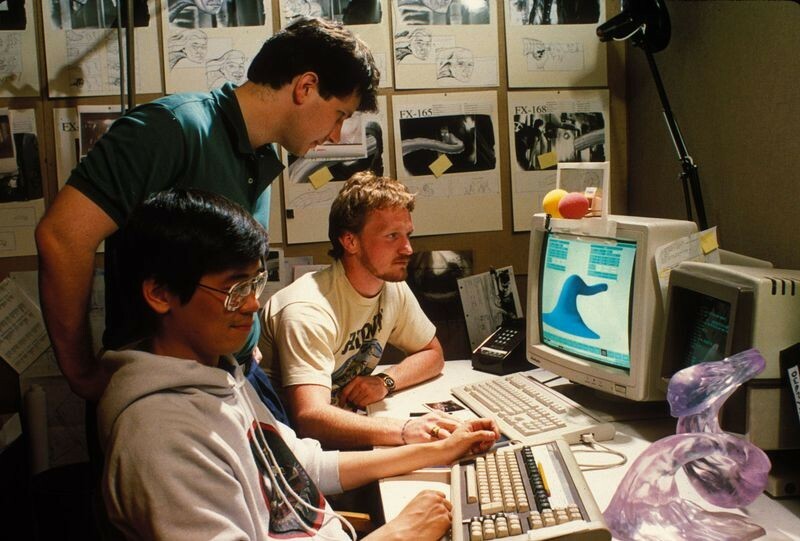 Early champions of Photoshop include filmmaker James Cameron, who used a pre-1.0 version in his 1989 movie The Abyss. The movie was awarded an Academy Award for Visual Effects in 1990. Display was the name of the image-editing program developed by John and Thomas Knoll, before they renamed it Photoshop in 1988. When the Knolls decided to commercialize Display, their first customer was Barneyscan, who licensed the program for their film scanners. About 200 copies of the program were sold. The first version of Photoshop was only available for Apple Macintosh computers. Photoshop was a major improvement over renting custom image-editing computers, which could cost up to $300 an hour. 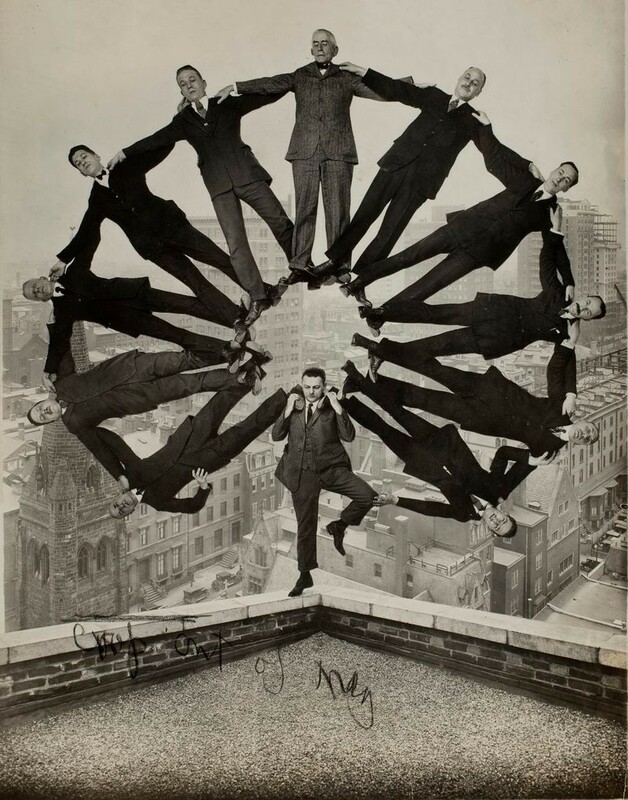 The Knoll brothers’ photography program was promising…but not profitable. They licensed one version to a scanner manufacturer. 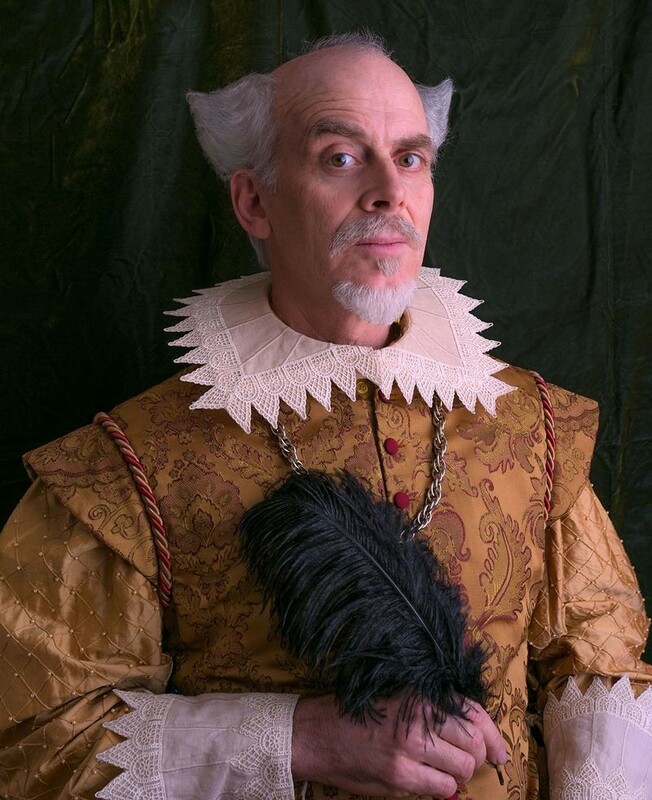 The big break came when Russell Brown, Adobe’s art director, became interested. 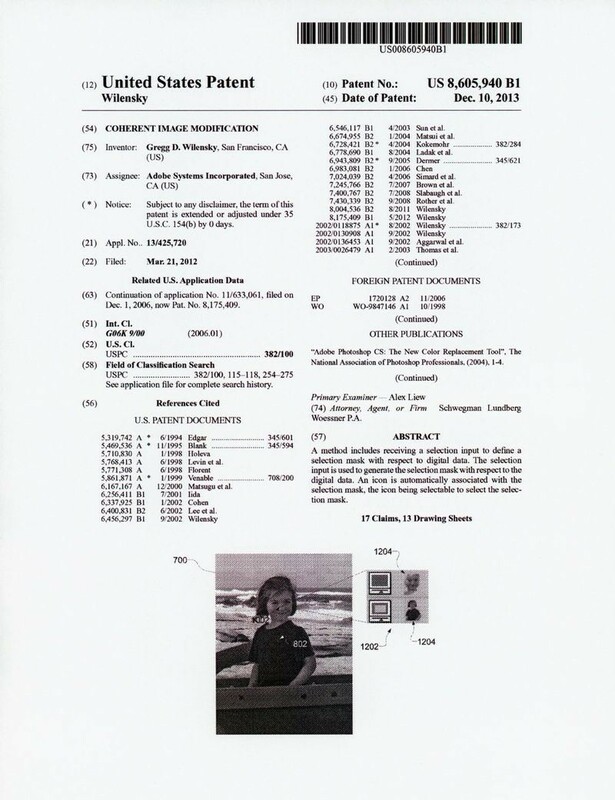 Brown persuaded Adobe to help refine the Knolls’ software. 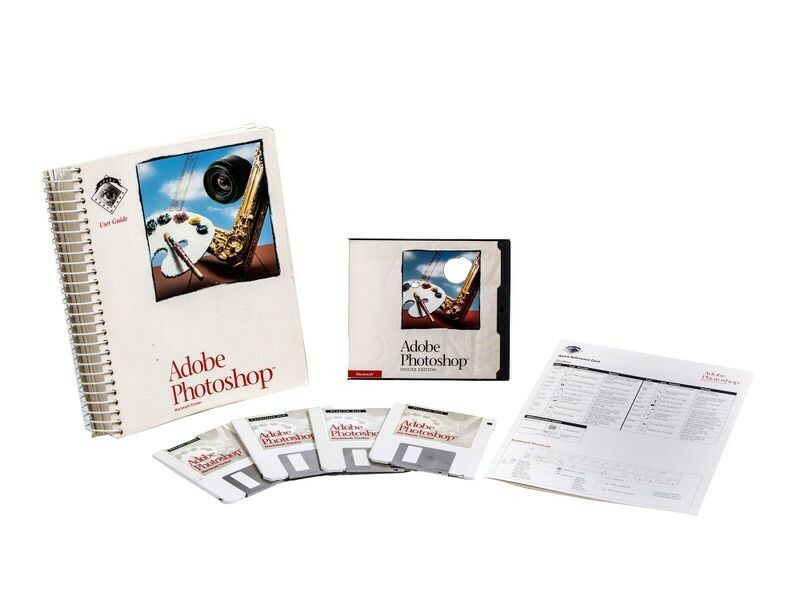 Adobe released the expanded product—Photoshop—in 1990. An early promoter of Photoshop, Russell Brown quickly became known for his theatrical tutorials, touting the program as an essential design tool for professional publishers, photographers, designers, and artists. He fostered a uniquely playful relationship unique interplay between developers and users that has greatly contributed to Photoshop’s popularity and success. 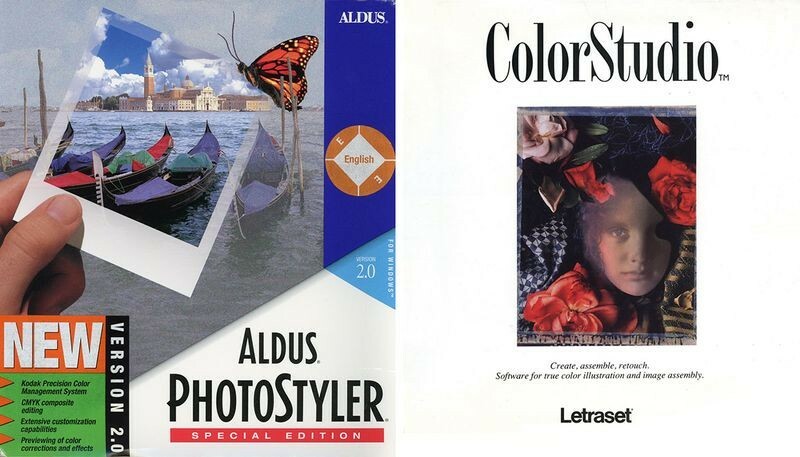 Early Photoshop competitors, like Letraset ColorStudio and Aldus PhotoStyler, tried to corner the image-editing market in the 1980s and early 1990s, but proved too limiting, complex, or expensive. With each new version, Photoshop adds new features to its creative toolkit, underscoring the evolution of the product itself. Key milestones include: Photoshop adapted for Windows (2.5), layers feature added (3.0), history palette added (5.0), Photoshop optimized for the web (5.5), and healing brush added (7.0).